Philip Milburn owns the Minuteman Press design, marketing, and printing franchise located at 65 Ber Street in Norwich. On the 10th of December 2018, Philip and his team hosted their first Blogging Night where clients and members of the community came together to network and share ideas. The Specialty Graphic Imaging Association (SGIA) has purchased the printing trade show Graphics of the Americas (GOA) from the Florida Graphics Alliance (FGA) (formerly the Printing Association of Florida). Following a transition period, GOA will relaunch in February 2020 in Miami Beach, Florida. SGIA acquired the show in August 2018. Color-Logic and their technology partners have announced their Autumn show schedule. "This Autumn, Color-Logic will demonstrate with technology partners at ten different events around the world," stated Mark Geeves, Color-Logic Director of Sales and Marketing. "Color-Logic partners will show our samples for applications including direct mail, labels, cartons, signage, point-of-purchase, magazine covers, tags, and business cards to mention only a few." Brands and suppliers in the packaging, sign and display supply chains face many challenges in today’s fast-paced and highly competitive marketplace. Esko can help: During this series of five seminars attendees will receive a wealth of new ideas and approaches for the future of their businesses. IMI Europe announces the invited speaker and panel session programme for its strategic Digital Printing Conference event. The event will be held at the Novotel Barcelona City Hotel, Barcelona, Spain on 19-20 September 2018, with supporting events on 17-18 September including Market Reports Live sessions on Digital Textiles and Digital Packaging and the world famous Inkjet Academy. Sports fans are getting ready for the world's ultimate football event, and Roland DG is flying the flag for England at its Creative Centre in Clevedon. On June 26th, join the Roland team for a day of World Cup-themed footie fun and some incredibly innovative printing. DESIGN-MADE is a new contemporary design event that debuted their first show in Sydney, Australia, presenting collections of products from rising Australian interior designers. The show demonstrated that design is not just for a small niche of elite consumers anymore but has something for everyone and aims to change buyer-behavior to support local and original design. 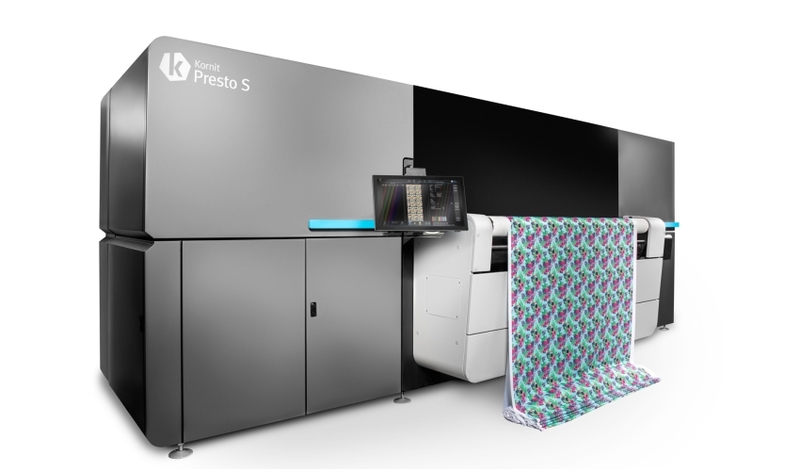 Exclusive UK and Irish Mimaki distributor is to bring its broadest ever range of technology to Sign & Digital UK as it returns once again to the exhibition at Birmingham’s NEC from 24th to 26th April 2018. With a large stand situated at the entrance to Hall 18, Hybrid will also be supporting a significant number of its specialist resellers, ensuring a considerable Mimaki presence at the show. Canon to inspire visitors at PrintWeekLive! Canon will be showing live printing, as well as highlighting its imaging supplies, professional services businesses and service capabilities at PrintWeekLive! at the Wasps Arena, Coventry, on March 7-8, 2018. Canon technology will range from wide-format devices through to examples of work completed on its cutsheet technology. Passionate and positive customer feedback will help shape Durst thinking for future events after record attendances at the “inspiring and engaging” Digital Days at its world headquarters in Brixen, northern Italy, that concluded on Friday [February 9]. Wide-format solution specialist Caldera has announced the release of the latest upgrade of its market-leading RIP software. V11.2 will be demonstrated at C!Print, which runs in Lyon from 6th to 8th February. Three new features have been introduced in response to customer requests: HelpLinks, ContourNesting 180º and MultiLayer. At the same time, support was announced for a new OEM device: TotalColor qb, the Barbieri platform for spectrophotometers.